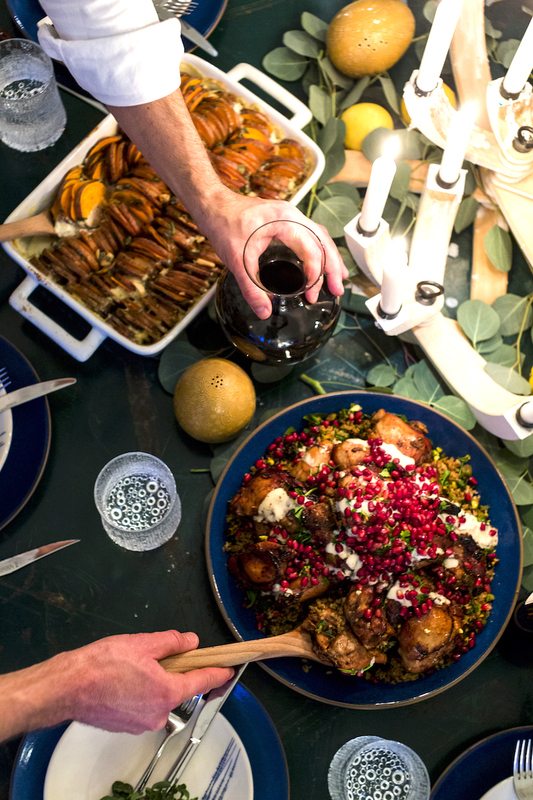 Click here for more recipes from Joe and Mike’s Sunday Supper! 2. Wash potatoes and cut into thin slices (1/4") - no need to peel. 3. In big bowl, toss potatoes with all ingredients except cream. Don't forget to save some sage for garnish. 4. 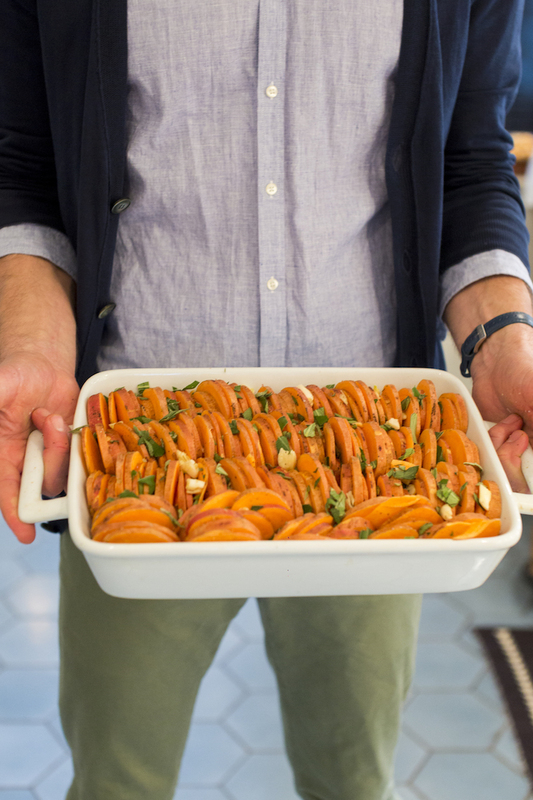 Grab handfuls of potatoes, stack them up, and arrange in 9"x13" casserole. Make tidy rows so you can see the edges of the skin. 5. Cover the dish with foil and cook in for 45 minutes. 6. Pull from the oven, uncover, and pour the cream evenly over all potatoes. Give it a little shimmy to make sure you get full coverage. 7. Roast, uncovered, for an additional 25 minutes. Before serving, use a knife to make sure that the potatoes are done. They should be soft. 8. Pull from oven and garnish with reserved sage. Serve immediately in casserole. This food looks HEAVENLY!!!! YUM! Also looks like a super easy recipe. This looks great! But I assume there is some olive oil on the potatoes?